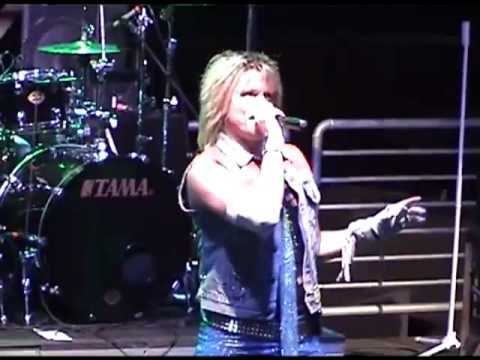 Voted best tribute band by LAâs Rock City News six years in a row, The Atomic Punks have established a national following that continues to grow by leaps and bounds. 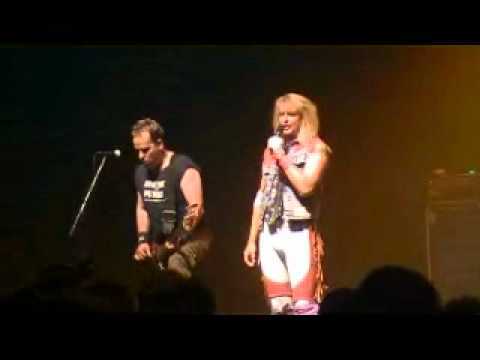 In his 1997 autobiography, âCrazy from the Heatâ, Van Halen front man, David Lee Roth, referred to The Atomic Punks as the âbest tribute to Van Halen everâ. Dave cemented his admiration and appreciation for the Punksâ talents by hiring original guitarist Bart Walsh to play guitar in his âDLR bandâ tours from 1999 to 2001. Bartâs replacement Brian Young recreated Eddie Van Halenâs sound and furious guitar playing so precisely that Dave again looked to the Punks and took the guitarist out on the road in 2002 for his national tour with fellow frontman Sammy Hagar. âMetal Edgeâ magazine boasts âThe singer does David Lee Roth better than Dave himself.â Brian Gellerâs recreation of David Lee Rothâs live persona is so uncanny it must be witnessed to be believed. From Daveâs trademark costumes to his signature scream and unique vocal delivery Brian does Dave proud as the ultimate tribute to one of Rockâs greatest frontmen. Guitarist Lance Turner recreates Eddie Van Halenâs classic guitar sound playing every riff and solo with as much energy and technique as Edward himself while capturing all the enthusiasm and flash of Edâs engaging live personality. Bassist Joe Lester and drummer Scott Patterson make up a very formidable rhythm section providing the same rock solid foundation and pulse for Lance and Brian as Van Halenâs own Michael Anthony and Alex Van Halen did for Eddie and Dave. Joe and Lance also add the entire signature backing vocals to the early Van Halen masterpieces. There is one important point the band always make clear at its shows. The Atomic Punks donât think they are Van Halen. They simply love to play the bandâs music and it shows in its amazingly realistic power-packed stage show. No Van Halen tribute band captures the note for note performance and feel of an original show like The Atomic Punks. If you love vintage Van Halen and wish you could experience and relive the energy the mighty VH created with Diamond Dave behind the mic you donât want to miss The Atomic Punks! They are the ultimate tribute to early Van Halen.